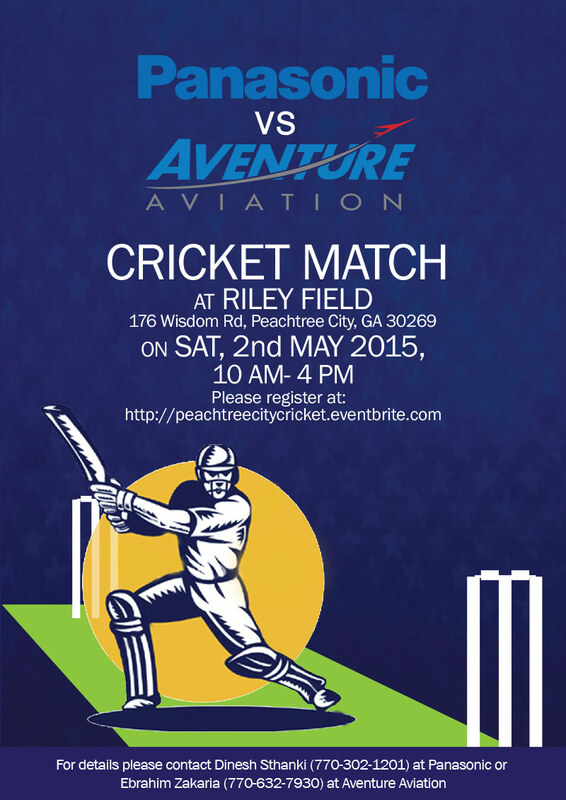 Aventure welcomed new residents from India to the Atlanta area by organizing a friendly cricket match, played May 2. The goal was to help assimilate Panasonic Corporation’s new employees and their families to the local community. The event was the first time the sport was officially played in Fayette County, Georgia, USA. Founded in 1918, Panasonic is a Japanese multinational electronics corporation headquartered in Kadoma, Osaka, Japan. They employ about 300 people from India in the Atlanta area. Founded in 2001, Aventure Aviation is a leading ASA-100 accredited aviation parts and services company headquartered in the United States near Atlanta’s Harstfield-Jackson International Airport. Team photo: The Aventure Aviation Flyers. Team photo: The Panasonic Panthers. Aventure’s Director of Sales, Hamzah Faruqi, directs the ball to the boundary.